Sorry, Carl haters, looks like that kid is not going anywhere but is rather gaining prominence in The Walking Dead canon, if the poster above is any indication. 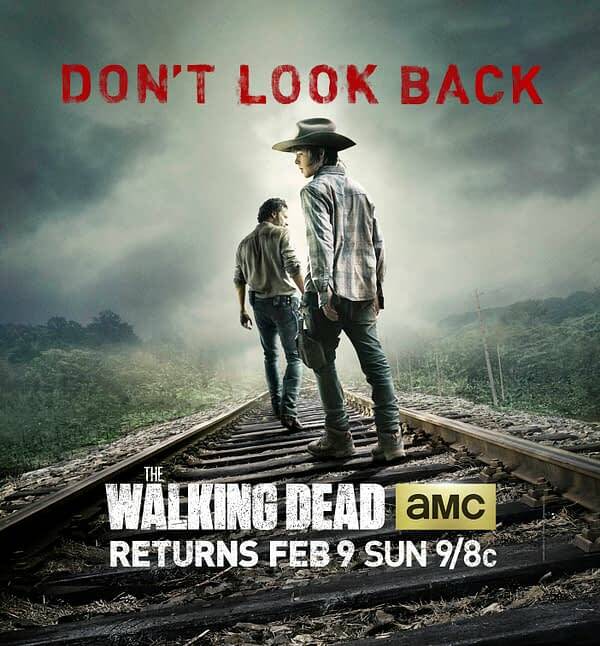 For the first time Andrew Lincoln is sharing the spotlight on Walking Dead key art, with Chandler Riggs looking to steal focus from his onscreen dad when the show returns to AMC for the second half of its fourth season. Don’t look back. Is Carl the future of The Walking Dead? Find out when the story continues on February 9th.